Becky & Alison were the winners of my "Love is Love" contest after Prop 8 was overturned in California! 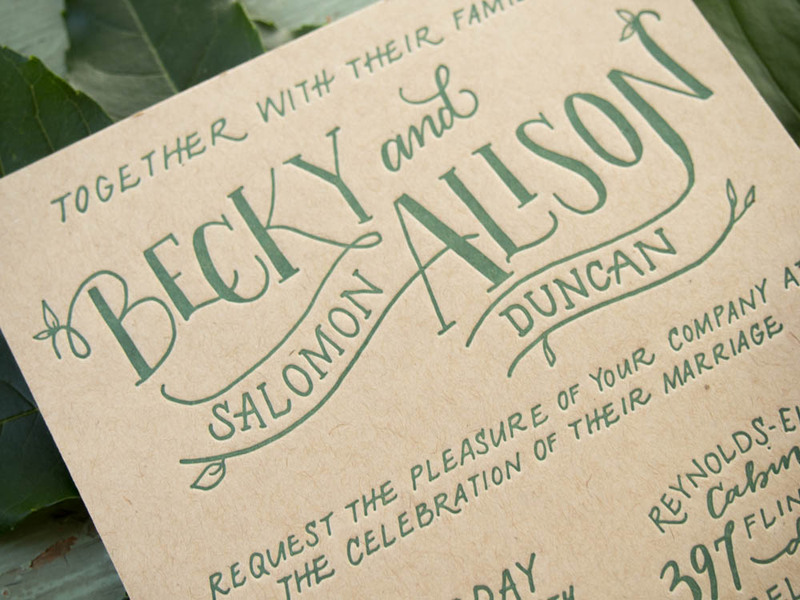 We incorporated lots of casual hand-lettering and an organic feel that worked perfectly with their personalities. 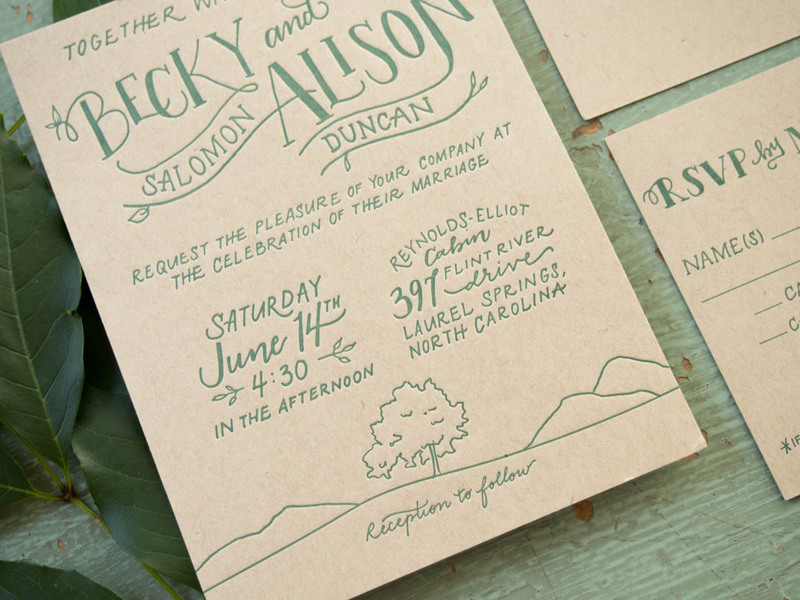 We used an illustrated graphic of "their tree" throughout to make it extra personal.